Thank you, JH News and Guide and Frances Moody for this beautiful layout and article. I am so grateful. A few paintings included in Pearl Street Bagels show here in Jackson Hole. Hangs tomorrow. Spring Green. Anika Youcha. Oil on canvas. 18x18"
Glory Glory. Anika Youcha. Oil on canvas. 12x24"
Summer Storm. Anika Youcha. Oil on canvas. 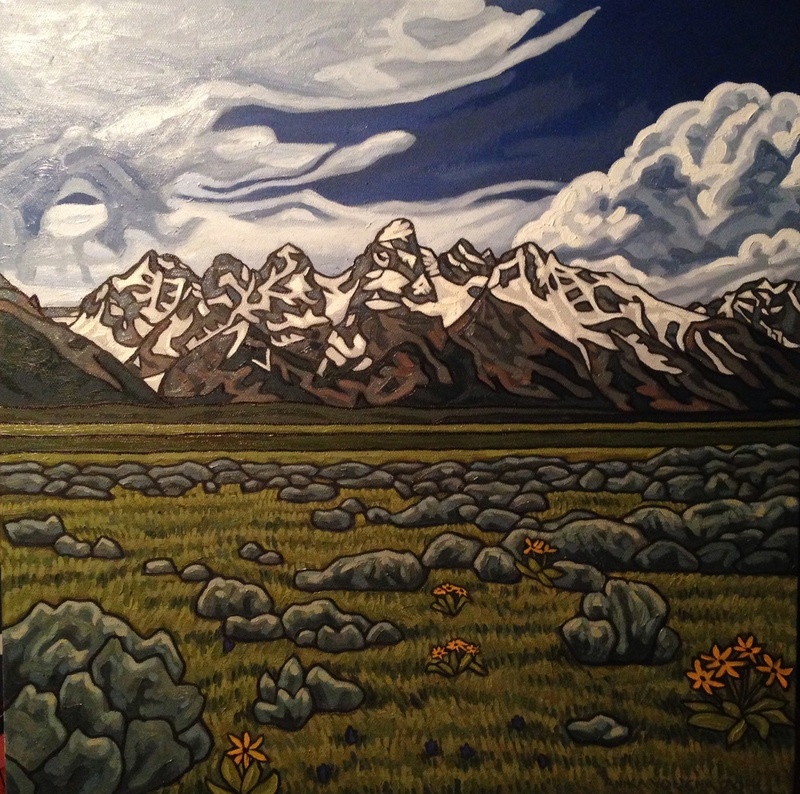 12x12"
It has been a busy summer of late night painting, Art Fair Jackson Hole media, and preparing for my first showing at busy Pearl Street Bagels this coming September during Fall Arts Festival 2014.